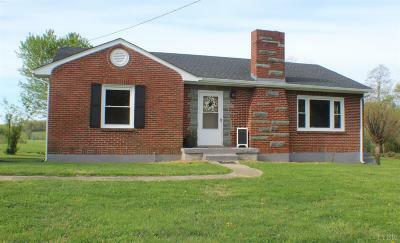 Lovely brick ranch located in the heart of Rustburg. Home is within walking distance of grocery stores, restaurants, banking and many other essential services. When you enter the home, you are welcomed by a spacious living room, with gorgeous hardwood floors and an ornate fireplace. Living room flows into an open dining area with plenty of natural light. The kitchen has been remodeled with subway tile, gray cabinets, and appliances. Charming full bath, with tile surround. Large master bedroom and two additional bedrooms finish out the main level. Home sits on a full unfinished basement. The work has been done for you! Updates include: new roof, new gutters, new windows, new central air unit, refinished hardwood floors, new flooring, new plumbing fixtures, new hot water heater, and the list goes on! Call today for your private showing.